Dennis Locorriere has had his own successful solo career for more than a decade, and has now played to over 900,000 people in the UK alone under his own name. His second solo album, "One Of The Lucky Ones" was released in 2005, the same year he played the main stage at Glastonbury ( successfully following The English National Opera ) to rave reviews whilst his live DVD Alone With Dennis Locorriere was warmly welcomed both here and in the USA. His triple CD box set "Live In Liverpool" firmly established itself as a strong seller. Without reservation he still has one of the finest voices around, impassioned heartbreak and lost innocence…and that’s 24 years after the group he sang for decided to call it a day. And the group...that happy but very edgy band who clocked up hit after pop hit...the one and only, the mega-successful, DR HOOK. Dennis Locorriere was the VOICE of Dr Hook, the lead singer of all those hit records and beautiful songs. As one of the biggest bands across the world in the seventies and early eighties, Dr Hook’s plaudits are impressive. 2007 saw a compilation album Hits & History put together by Dennis with EMI UK achieve gold status with sales of over 100,000 in the UK alone and the Dennis Locorriere Celebrates Dr Hook Hits & History Tour played to sell-out houses in 35 of the major UK theatres. This tour was filmed and released as a live Concert DVD & TV programming in the Summer of 2007 reaching the Top 5 of the UK Music DVD Chart and peaking at No 3. Gold records are not a new thing to Dennis & the band. Dr Hook amassed more than 60 gold and platinum records scoring No 1 hits in more than 42 countries… they had massive world-wide success with classics like “Sylvia’s Mother”, “When You’re In Love With A Beautiful Woman”, “A Little Bit More” and the original and definitive version of “The Ballad Of Lucy Jordan”... and they spent 300 days a year on the road for 15 years. They clocked up another Gold record last year when Dennis’ concept the Hits & History CD released to accompany his massively successful Hits & History tour went Gold in the UK with sales of over 120,000, going Gold in Europe too. But Dr Hook is only really the early part of Dennis’ story because for more than 30 years he’s paid his dues. He’s appeared in a major movie with Dustin Hoffman. He’s starred in a universally acclaimed one man play “The Devil And Billy Markham written by Shel Silverstein especially for him,”, at New York City’s Lincoln Centre. He’s written songs that have been recorded by a wide variety of other artists including Bob Dylan, Southside Johnny, Crystal Gayle, BJ Thomas, Olivia Newton-John, Waylon Jennings, Helen Reddy and Willie Nelson, Dolly Parton & Loretta Lynne. In 1999, some 15 years after he moved to Nashville and disbanded the group, Dennis secured yet another platinum album for the “Dr Hook Love Songs” CD. This was accompanied by a major sell-out tours in the UK, Europe and Australia. Late in 2001 Dennis played several solo shows which were recorded for a triple live CD/DVD box set 'Live In Liverpool'. in 2000 he had released his first solo album “Out Of The Dark” and had won new audiences on a major UK tour. In addition, to coincide with his touring activities, a special numbered limited edition of Live In Liverpool was made available aptly titled “Alone With Dennis Locorriere”. Dennis Locorriere has always been an artist who is truly, once seen never forgotten. His shows have always encompassed his own Solo hits and the group’s greatest hits and keeping up momentum his second solo CD, “One Of The Lucky Ones” was released in 2005 on the Track record label and he has toured and performed in the UK, Ireland, Australia, New Zealand and Europe with this album. Never being one who could be bagged or predicted Dennis shone recently among the most celebrated of company when performing as part of the Dear Mr Fantasy Concert at London’s Roundhouse where he appeared alongside Steve Winwood, Paul Weller, Pete Townshend, Yusuf Islam, Joe Walsh, Gary Moore, Bill Wyman, Jon Lord and a host of other stars celebrating the life and career of Traffic luminary Jim Capaldi. This concert was filmed and recorded in HD and was released as TV programming, a live concert DVD and Audio CD in 2007. Dennis’ own Hits & History Tour Live DVD completed its 7th consecutive week in the Top Twenty of the UK Music DVD Chart in Summer 2007 having been in the Top 5, peaking at No 3 but again The Hits & History tour was just the latest installment of a blossoming solo career with more record releases and tours of the USA, Australasia and Europe to come. 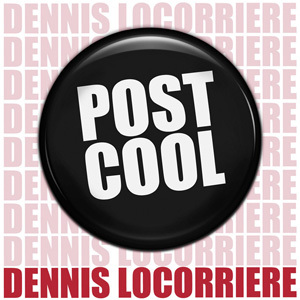 June 2009 and Air Studios in London were the time and place for the recordings for ‘ Post Cool ‘ his long awaited third solo album to begin. The album was completed and released in January 2010.